The dry season is identical to the breeding of mosquito populations. Material anti-mosquito products that we know the form of a cream or spray which contains a lot of chemicals and their impact on skin health is still questionable. 1. Routinely replace water containers that could become mosquito breeding places like a pet drinking fountain, vase, and a pool several times a week. 2. 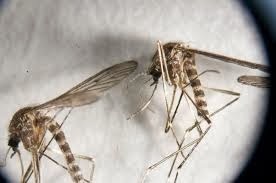 There are certain plants that have an undesirable flavor mosquitoes. These plants include flowers cat whiskers, rosemary, lemongrass, lavender, cinnamon, and peppermint. Planted in the front yard and backyard of your home to prevent mosquitoes. 3. Mosquitoes do not like the smell of garlic. Slice the garlic cloves and a dab on the skin or mosquito bite. 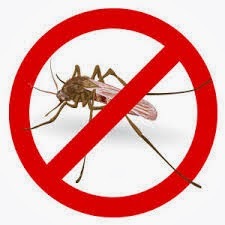 Can also create a natural anti-mosquito liquid by destroying one part garlic with five parts water. Store in a small spray that you can use as an anti-mosquito spray. If you can not stand the smell attached to the body, with a wet cloth around your current solution is out of the house. 5. Certain essential oils, like eucalyptus oil, cinnamon oil and castor oil is an effective mosquito deterrent. Mix 10-25 drops of one of these oils with 2 tablespoons olive oil or cooking oil and dab on the skin. 6. Mosquitoes are most active at sunrise and sunset. So, avoid activities outside the home 30 minutes before and after dawn and dusk. 7. Mosquitoes are attracted to something dark. We recommend using white or colored clothes bright when outdoors. 8. Perfume and scented soap flower also disliked mosquitoes. Should note the smell of deodorant and hair products you use. 9. The fan made it difficult for the flying mosquitoes. Being in a position near a fan to make mosquito is difficult to reach you. 10. Parsley mixture with the crushed apple cider vinegar is also effective in preventing mosquito. Rubbing the body with a wet handkerchief in the mix in the open part of the body can protect you from mosquito bites. 11. Bats known as natural predators of mosquitoes. Although terdengar extreme, if a sufficiently large back yard, you may consider maintaining some tail bats that can eat thousands of mosquitoes every night.